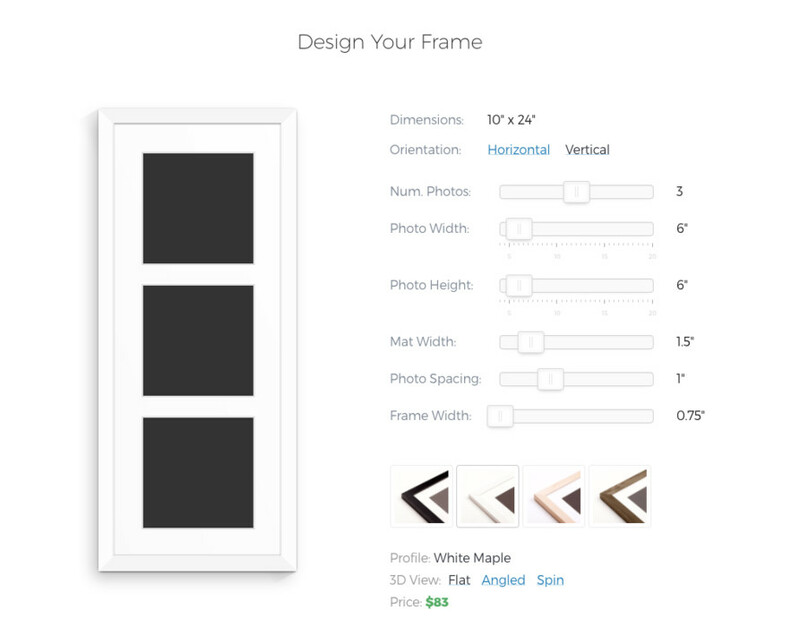 Our mission at Level Frames is making it easier, less expensive and more intuitive to custom frame your artwork and photos. We do this by bringing the whole experience online, cutting out the middlemen and delivering our handcrafted, museum-quality frames right to your door. VetPronto is the biggest house call veterinary service in the US. They offer extraordinary levels of care to pets where they are most comfortable, in their own homes. Taking care of pet owners is another thing VetPronto does well. Knowing how special each pet is to their family, the company decided to surprise a number of its long-time clients with framed pc of their cats and dogs. 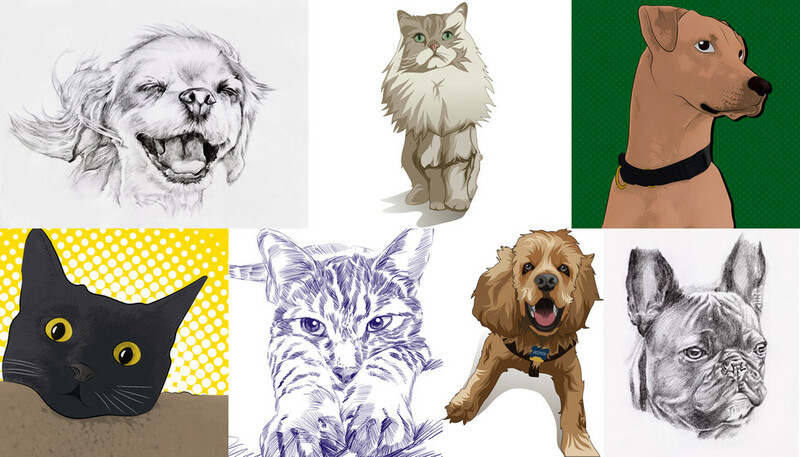 In the spirt of going above and beyond, they commissioned an illustrator to depict each pet across a range of artistic styles to make them truly unique. Shopping for the dad/grandpa/husband who "has everything" or "doesn't want anything" can be tricky. Below are three easy and thoughtful framed gift ideas to help you put a smile on his face this Father's Day. Shipping deadlines are listed at the end of the post. With Mother's Day around the corner we've teed up four easy gift ideas to make her feel great on Sunday the 14th and every other day of the year. Order before May 5th for guaranteed delivery by Friday the 12th. If you are on the East Coast, you can order all the way up to May 8th. Make sure to note any deadlines or preferred delivery dates in the Special Instructions field at checkout, we'll let you know if we can't make it happen. With so many framing styles available, we understand that choosing the right frame and mat combo for your art can be confusing. We've outlined below some of the differences between a number of options, including tips and recommendations to help you narrow them down and finally choose the perfect frame for your art. A beautifully framed print, photo or album brings new life to any space, but it can be tricky picking something out for others. Give the gift of custom framing with an e-gift card from Level, and let your recipient decide how to make their walls look awesome. If you are looking for a last minute gift idea, these will do the trick. Simply select the amount and your preferred delivery date, and we’ll send a delightful email with all of the details. Our gift cards can be used on all our custom framing services. We're making holiday shopping easier and better. Beyond housing beautiful artwork, our elegant custom frames can bring to life unique vinyl records, sentimental memories and more. To help you get inspired this holiday season, we've prepared a list of frame-worthy gifts sure to impress the people on your list (including yourself). What if you could recreate any image in the style of a famous painter or art period? Recent breakthroughs in Artificial Intelligence have made it possible to do just that, and we've incorporated this magic into Level so that you can transform your own photos into new and unexpected masterpieces. Simply upload any photo, and then choose among nine artistic styles to see the different ways it can be transformed.